A picture shows a woman holding a protest sign saying “stop killing volcanoes to make lava lamps”, from the People’s Vote march. The picture has been edited. The sign originally said “I’m not very happy about this” and the picture was taken in 2011. A picture shared on Facebook of a woman holding a protest sign saying “stop killing volcanoes to make lava lamps” is, perhaps unsurprisingly, a fake. 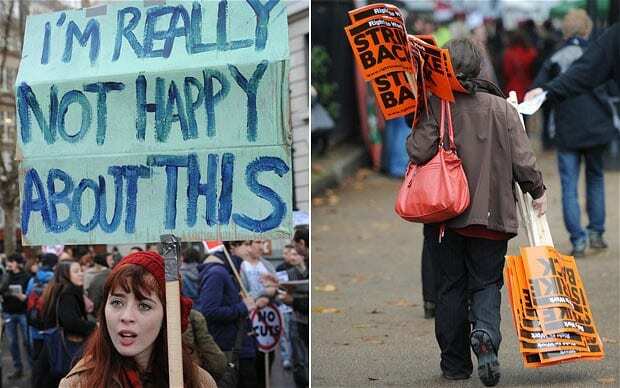 The wobbly text is a later edit—the original picture was taken at a protest in London in 2011 , and the poster said “I’m really not very happy about this”. While most readers seemed to get that this was a joke, some Facebook users seem to have misinterpreted the picture as genuine. Another edited version repeats an internet joke about the drink Gatorade being made from alligators. An image from a different angle also shows the same woman holding the sign with its original message. You can read more about spotting misleading images in our how-to guide here. This article is part of our work factchecking potentially false pictures, videos and stories on Facebook. You can read more about this—and find out how to report Facebook content—here. For the purposes of that scheme, we’ve rated this claim as a satire as the person who posted it seemed to have done so in jest.